The sluice gates of the Moragahakanda-Kalu Ganga reservoir project were opened by President Maithripala Sirisena, a short while ago. The Moragahakanda Reservoir of the Moragahakanda-Kalu Ganga Reservoir, which is the largest multi-purpose development project in Sri Lanka, has reached its spill level and its sluice gates were opened today for the very first time. 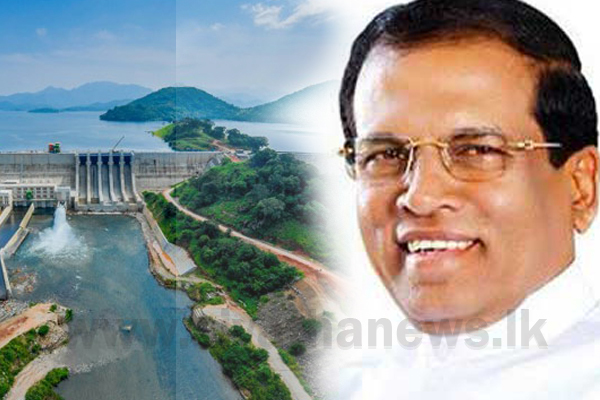 President Maithripala Sirisena also took part in the inspection tour of Moragahakanda Reservoir Project premises in the morning.